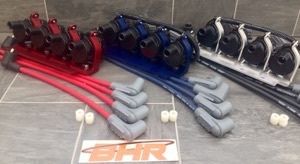 GENUINE BHR PARTS ACCEPT NO SUBSTITUTES! The kit that spawned a thousand "D585 Coil Kit" COPIES....! It is widely known that the ignition coils on the Mazda RX-8 are weak and suffer from reliability issues, even on unmodified engines, as early as 30,000 miles and weak ignition coils eventually result in failure of the exhaust catalyst and/or long-term engine damage. 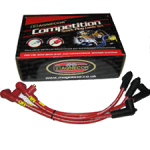 With forced induction, nitrous oxide use, or any kind of track racing you need to have an ignition system that is more reliable and with higher voltage/current output than the OEM system. 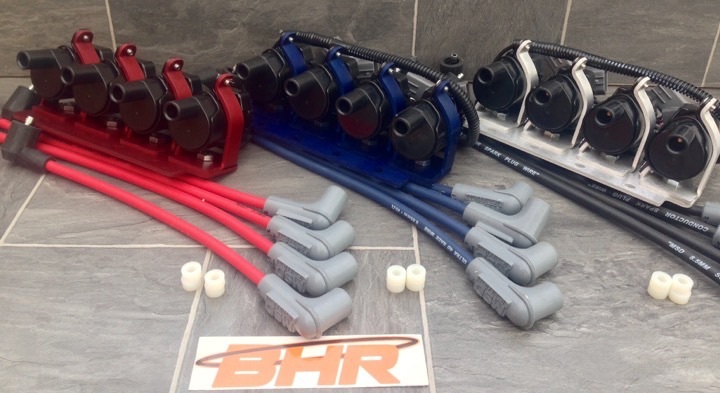 The Black Halo Racing Ignition system is designed for purposes of improving the reliability and drivability of the RX8 as well as a modest but noticeable increase in power. This ignition upgrade is NOT designed to resolve problems with your engine/car as a result of mechanical failure, so please be sure your engine is mechanically in proper operating condition before purchasing.. This ignition system is likely the most popular product ever offered for the Mazda RX-8 and it's popularity continues to rise...... probably because this is the ONLY ignition system for the Mazda RX-8 which retains over 80% of it's value in the resale market! Do not be misled by imitation/"copycat" systems other retailers may try to sell you as many of them do not include everything needed for a proper installation. Typical benefits reported by those whom have purchased this kit are quicker start-ups, better throttle response, more midrange torque, smoother engine sound/operation above 7,000 RPMs, and no more misfires. All this applies to power-adder (nitrous or F/I) applications, as well, and all models of the Mazda RX-8.The Black Halo Racing Ignition System addresses these concerns in a very simple manner. The coil conversion wiring harness allows a true "plug-and-play" installation that doesn't require you to cut, splice, or otherwise alter any wiring in your RX8. 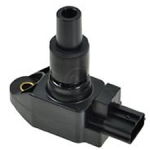 The ignition coils used emit more current and voltage than the RX-8/OEM ignition coils and provide much longer life over the stock and most aftermarket systems. 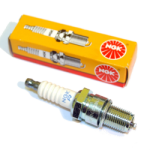 They are used in many racing applications, rival any coil in the aftermarket, and this system renders any additional/external ignition hardware unnecessary. The kit mounts in the exact same location as the OEM coils and fits all models/years of the RX-8. Do not wait until problems arise before making improvements to your ignition system. The pre-assembled kit contains a baseplate, coil brackets, ignition coils, a plug-and-play conversion harness, and custom-built MSD or Moroso spark plug wires. 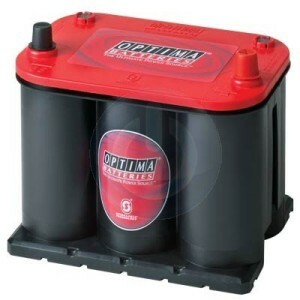 It also includes a 3-year warranty on all parts, materials, and workmanship. 3-year warranty on all parts, materials, and workmanship. It is widely known that the ignition coils on the Mazda RX-8 are weak and suffer from reliability issues, even on unmodified engines, as early as 30,000 miles and weak ignition coils eventually result in failure of the exhaust catalyst and/or long-term engine damage. With forced induction, nitrous oxide use, or any kind of track racing you need to have an ignition system that is more reliable and with higher voltage/current output than the OEM system. The Black Halo Racing Ignition system is designed for purposes of improving the reliability and drivability of the RX8 as well as a modest but noticeable increase in power. This ignition upgrade is NOT designed to resolve problems with your engine/car as a result of mechanical failure, so please be sure your engine is mechanically in proper operating condition before purchasing.. This ignition system is likely the most popular product ever offered for the Mazda RX-8 and it's popularity continues to rise...... probably because this is the ONLY ignition system for the Mazda RX-8 which retains over 80% of it's value in the resale market! Do not be misled by imitation/"copycat" systems other retailers may try to sell you as many of them do not include everything needed for a proper installation. Typical benefits reported by those whom have purchased this kit are quicker start-ups, better throttle response, more midrange torque, smoother engine sound/operation above 7,000 RPMs, and no more misfires. All this applies to power-adder (nitrous or F/I) applications, as well, and all models of the Mazda RX-8.The Black Halo Racing Ignition System addresses these concerns in a very simple manner. The coil conversion wiring harness allows a true "plug-and-play" installation that doesn't require you to cut, splice, or otherwise alter any wiring in your RX8. The ignition coils used emit more current and voltage than the RX-8/OEM ignition coils and provide much longer life over the stock and most aftermarket systems. They are used in many racing applications, rival any coil in the aftermarket, and this system renders any additional/external ignition hardware unnecessary. The kit mounts in the exact same location as the OEM coils and fits all models/years of the RX-8. Do not wait until problems arise before making improvements to your ignition system. The pre-assembled kit contains a baseplate, coil brackets, ignition coils, a plug-and-play conversion harness, and custom-built MSD or Moroso spark plug wires. It also includes a 3-year warranty on all parts, materials, and workmanship. 3-year warranty on all parts, materials, and workmanship. These are the latest generation "C" packs that Mazda has released, Anyone that knows about the RX8 can tell you that the ignition coils have proven to be a weak point in a great car. The early coils had a poor design that has in later years now started to cause dead catalytic converters, and in worst cases even possibly contributed to killing an engine. Many enthusiasts will change these out every 30'000 mile intervals (maximum) as a preventative measure. We can offer these Genuine Mazda parts at a fraction of the price you would pay at a dealers. As a warning... Do no compromise on coils packs, as a specialist we have seen many cars that have had pattern coils fitted to solve a problems that is still there. Only accept Genuine Coils Packs. While we offer these coil packs individually we strongly recommend that ignition coils are replaced in full sets for best results. 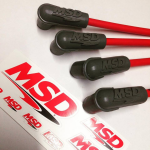 These MSD HT Leads are made to order right here at Essex Rotary HQ, from genuine MSD components. Available in Red or Black cable options (select your preferred color fron the drop down menu before hitting the "add to cart" button. 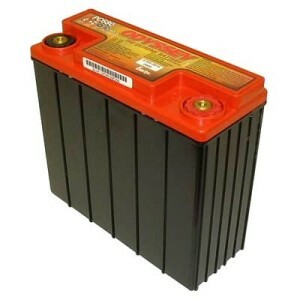 Magnecor Leads - Original equipment replacement. 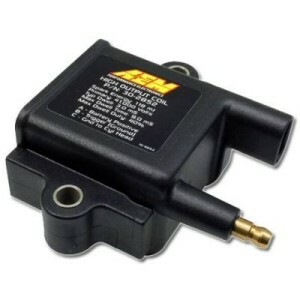 Designed to improve original ignition system performance on street vehicles using electronic engine management systems. 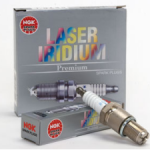 We have seen many RX-8's exhibiting problems due to the standard Mazda HT leads failing mainly due to the boot not sealing around the spark plug correctly leading to corrosion of the plugs connector and in some cases the tip actually braking clean off of the spark plug. We have also Witnessed first hand the poor insulation properties of many replacement "OEM spec" Ht leads available on the market in some cases we have witnessed sparks grounding to the chassis or engine before reaching the spark plug. Magnecor HT leads will eliminate the issue above! 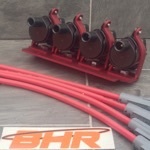 Each lead is also individually marked at the coil pack connector (L1, T1, L2, T2) to make installation simple easy to follow. Magnecor leads are the only HT leads that Essex Rotary recommend and fit to our own vehicles and customers vehicles alike. 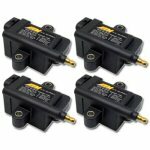 Set of 4 Magnecore KV85 (8.5mm) Performance HT leads for you RX8 Standard Mazda HT leads do not offer the insulation and moisture protection that the superior Magnecore HT leads do. As a result plug tips can become corroded and in extreme cases we have even seen the plugs core broken clean out With Ignition being important do not forget to add Magnecore Leads to your purchase of ignition parts With a 10 year guarantee you will not need to change these again. Designed for racing engines using racing ignitions,supercharging and exotic fuels.Extra large 10mm jacket made from aerospace extreme heat-resistant silicone rubber to provide additional heat protection and insulation.Exclusive Magnecor 2.5mm Metallic Inductance Suppressed Conductor will suppress EMI indefinitely.Can be used on street vehicles if space allows. With a 10 year guarantee you will not need to change these again. This starter motor is the equivalent of the 3rd version of the Starter that Mazda released the N3Z1 delivering typical cranking speeds of around 250-280 rpm, this starter is the perfect upgrade if your original starter motor is showing signs of age and delivery low cranking speeds subsequently causing your engine to flood. We have seen original early spec starter motors deliver cranking speeds as low as 120 rpm, this is nowhere near enough to reliably start your car. Please allow up to 7 days for delivery of this item at times of low stock. This starter motor is the equivalent of the 4th and final version of the Starter that Mazda released the R3Z1 delivering typical cranking speeds of around 280+ rpm, this starter is the perfect upgrade if your original starter motor is showing signs of age and delivery low cranking speeds subsequently causing your engine to flood. 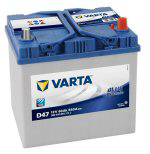 A Great Starter motor on a budget. 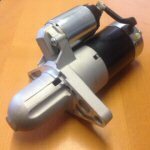 Our new "Grade B" Starter motor has been selected as an affordable alternative to our "Grade A" Starters. The Aim is to offer a good starter that is closer to the prices of the cheap budget starters found on auctions sites without sacrificing quality.